Henry David Thoreau’s memoirs of the two years spent in one-room wooden cabin, Walden, is regarded as a classic of American literature. 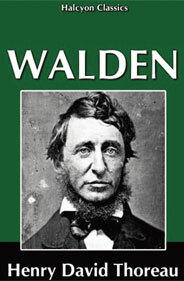 Partly a manifesto for Thoreau’s belief in the rightness of living close to nature, Walden also gave him the reputation of being America’s first environmentalist. Some of his unpublished writings are helping scientists learn about climate change. Between 1851 and 1858, Thoreau observed the flowering dates for 500 wildflower species in Concord, Massachusetts. When Richard Primack, a biology professor at Boston University, and fellow researcher discovered his unpublished records, they realised how useful they would be for pinning down the impact of changing climate over the last century and a half. The timing of seasonal events such as flowering are sensitive to temperature in a temperate climate such as that of Massachusetts, says Primack. The scientists compared the data and found “the plants, on average, are now flowering 10 days earlier than they were in Thoreau’s time.” Over the 155 years, the average temperature in Concord increased by 2.4oC, they estimate.